Alice Otchere Johnson is a Bachelor of Arts in Theatre Arts student at the University of Education, Winneba. When she is not in the classroom, she is a writer, award-winning performer, radio presenter and arts enthusiast. With all the innovations and designs that exist in the present day, one would think that there is nothing new that could make an entry into the scene. 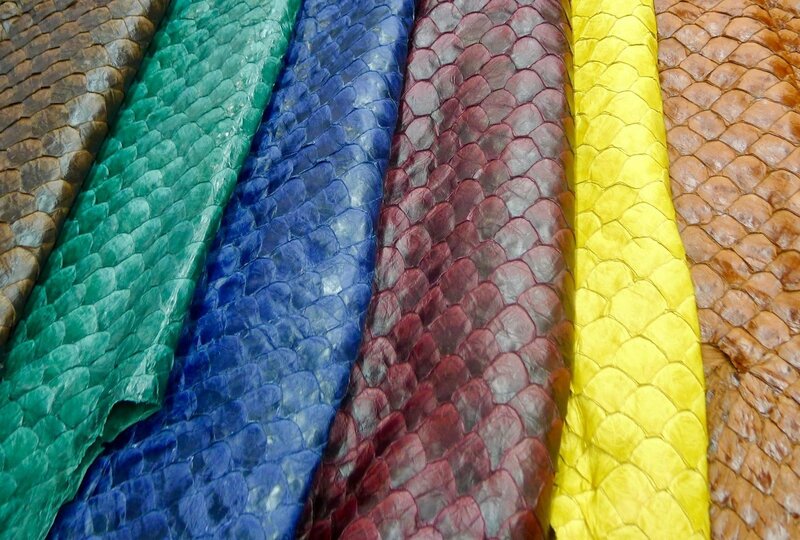 Newton Owino proves us wrong with his innovative fish leather. 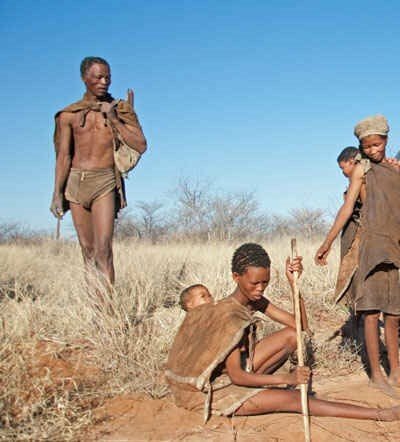 Ancient and some native Africans till date use dried and tanned animal skin of all kinds for clothing, footwear, tents and other things. It has been recorded that ancient peoples used fish skin for water bottles and other water carrying vessels because of its waterproof nature. In modern day, fish skin has been known to be used for many bizarre things, including surgical operations in human beings and a bandage for burn wounds. With its delicate nature, how could it be used for wearable leather? Newton Owino is a Kenyan industrial chemist and green entrepreneur. He is the founder of a fish leather tannery in Kisumu, the third largest town in Kenya. This town can be located on the Lake Victoria. Kisumu is home to many fish filleting industries and known for eateries that predominantly use fish from Lake Victoria. 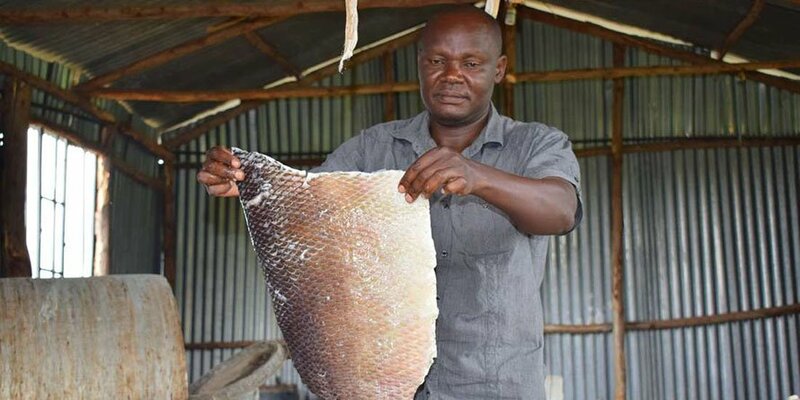 Newton Owino noticed the amount of fish skin being wasted by these industries on a daily basis and thought of an innovative way to make use of them. Mr. Owino applied his knowledge in industrial chemistry to tan and treat the fish skin for usable leather. Together with his employees, he collects the fish skin directly from the filleting companies or has them sent over. Excess flesh and bone is scraped off the fish and dried for 24 hours. After this, the dried skin in treated by a method known as tanning. He uses a mixture of purely natural acids such as avocado and other citruses and local herbs for tanning the skin, making them very eco-friendly. After the tanning, the skin is softer, less smelly and darker, after which it is descaled, thoroughly dried and ready for use. 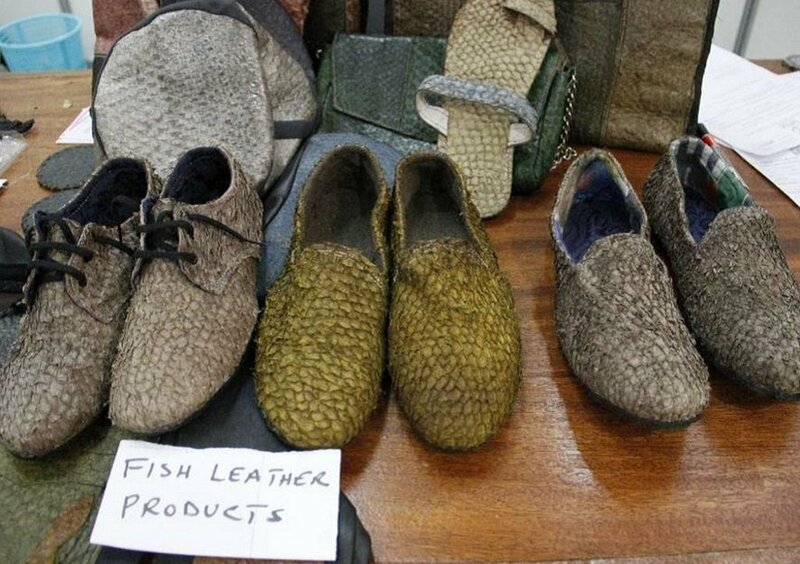 Just like any other leather, fish leather is used to make shoes, bags, hats, jackets and other accessories. It has a scaly look, much like snakeskin, but more affordable. Newton Owino’s tannery also makes and sells accessories and items made from the leather. 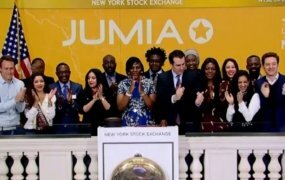 Through his innovation, he has employed some locals and produces affordable items. This business is turning out well for Newton as he made $130,000 USD in 2014 from the leather. It has since been his aim to set up a school to teach more locals about tanning in order to expand the industry. Newton Owino is full proof that one man’s trash can be another man’s treasure.